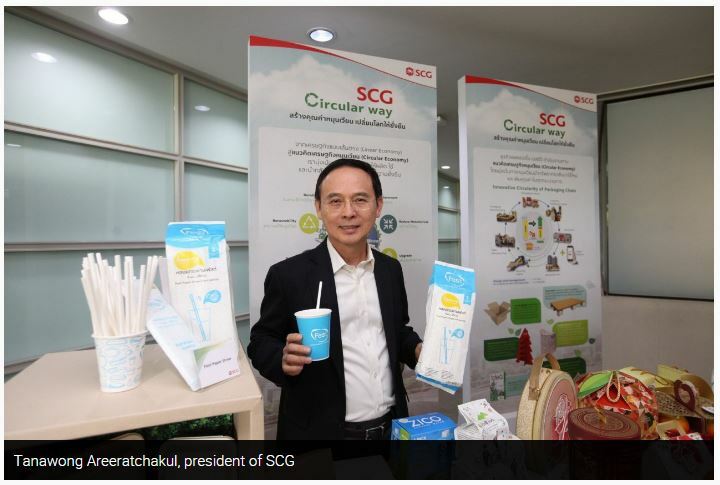 Tanawong Areeratchakul, president of SCG, said: “In the past year, packaging had to cope with price fluctuations of raw materials and fuel on top of the intense market competition. In the meantime, the widening growth in Asean yielded new opportunities for the packaging industry. In 2018 alone, the Asean packaging market value reached US$50.5 billion or a growth of 5 per cent while Thailand registered a rise of 3 per cent, parallel to the country’s economic growth. The market is expected to proliferate further primarily due to the changing demands for packaging, ie, increasing preference of sustainable, convenient and harmless-to-health products, while the focus of B2B clients centered around efficiency improvement and cost management. As a result, packaging developed key strategies to handle challenges and identify opportunities to ensure that SCG is ready and compatible with potential changes. To achieve the strategies, SCG is introducing a series of upgrades on manufacturing efficiency and competitiveness, quality improvement of products and services to better meet the customer needs. “As a result of a consistently growing rate of the packaging industry, parallel with national economic growth, the market expansion in Thailand and Asean is projected to be similar to the previous year,” Tanawong said.